NintenGen: Metal Gear Solid 4 coming to Wii??? Metal Gear Solid 4 coming to Wii??? There is no true date set for the release at this point, but November of 2008 has been mentioned. This is not set in stone as Konami is working with Microsoft to bring the date forward as much as possible. MGS4 for the 360 will also come with exclusive content and gameplay that will not be in the PS3 version of the game. Some of this content is VR missions, as well as "Snake Tales" or "Snake in the Valley" (depending on where you live), which will let you go on objective based missions, some of which are very lengthy. These are the first two bonuses to emerge so far, but be ready to expect even more. 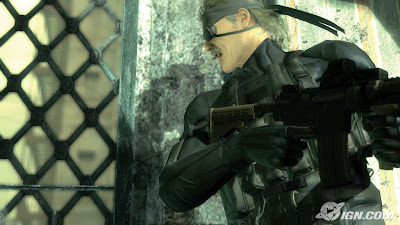 Konami is also in talks with Nintendo to bring a Metal Gear Solid game to the Wii. MGS4 would obviously have to be slimmed down if the chose to port the title to Nintendo's console. We already know that Snake will be a playable character in Super Smash Bros., so this (along with the 360 news) doesn't come as much of a surprise. "A" Metal Gear Solid game coming to Wii would be nice, but MGS4 would be great. Grain of salt needed. Yeah, I wish it would happen but I'll believe it when I see it. Same here, who knows but its a nice thought for sure. At the worst I hope the Wii gets some kind of Metal Gear game.